The recent registration of Permit (active ingredient: halosulfuron) in Ontario provides a nice tool for the management of yellow nutsedge in corn. Permit will also provide residual control of certain broadleaf weeds. For those two reasons, many growers will consider tank-mixing glyphosate and Permit for use in glyphosate tolerant corn. Here are 5 key points to consider when using this tank-mix. 1) When do I apply Permit? When tank-mixed with glyphosate, it can be applied up to the 8 leaf stage of corn. (Permit can be applied on its own up to the 10-12 leaf stage of corn). 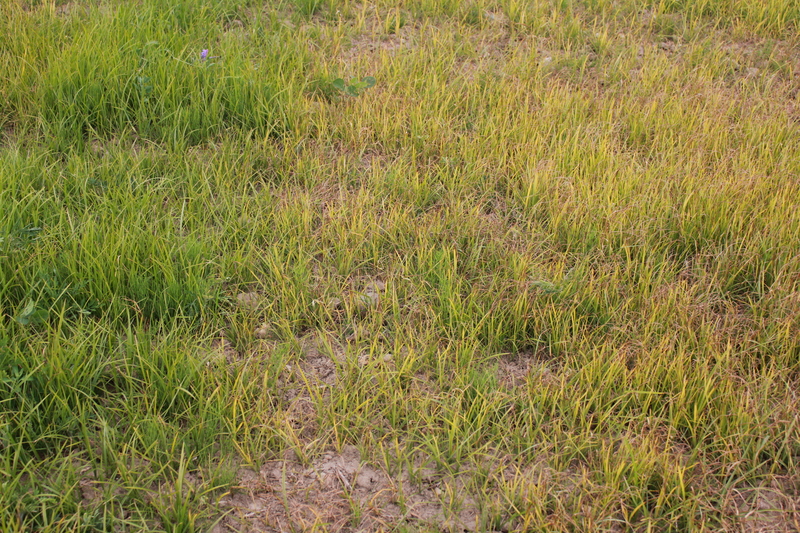 Since Permit will often be tank-mixed to improve yellow nutsedge control, application timing should target yellow nutsedge when it is 8 to 30 cm (3-12″) tall. 2) What rate of Permit should be used for yellow nutsedge? The label provides two rate ranges depending on the size of yellow nutsedge. When control of yellow nutsedge was evaluated at the Elora Research Station, the 47 g/ha (19 g/ac) rate provided very effective control (see results in the link above under the treatment of “halosulfuron – 35 gai/ha”). 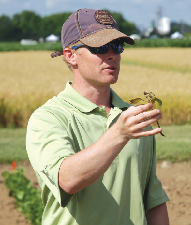 More recently, Dr. Peter Sikkema has evaluated yellow nutsedge control at different rates and more consistent control was achieved at the highest labeled rate. I believe that different field populations of yellow nutsedge vary in their susceptibility to herbicides and therefore you will see a range in their level of control. Ultimately, you may choose to experiment with Permit rates on your farm to come up with a rate that works best. Ideally, you start with the highest rate and scale back the rate depending on the level of control achieved. Lastly, visual control of nutsedge top growth will occur slowly, so don’t be surprised if the control is not impressive two or three weeks after application. Visual control of yellow nutsedge at 2 weeks after an application of Permit (19 g/ac) + Agral 90 (0.25% v/v) on the right compared with the untreated control (left). 3) Is an adjuvant required? The manufacturer (Gowan) is recommending that a non-ionic surfactant (i.e. Agral 90) be added at 0.25% v/v (2.5 L/1,000 L of water) even when tank-mixing with a glyphosate product. during a periods of large swings in air temperatures (i.e. going from a low of 7 degrees C to a high of 30 degrees C). if a soil or foliar applied organophosphate insecticide has been used (an unlikely scenario).